Spoiler Alert: Sisley Glossybox / Gee Whiskers! Glossybox has once again made my month absolutely amazing! As mentioned in a previous post I have been wanting to try out the Sisley products for AGES. Sisley skincare products are very expensive and something that I personally cannot afford, but glossybox has once again allowed us to try products that many of us would not easily be able to purchase. As soon as I have tested all the products out for a while I will write up a review. The Sisley Exclusive Glossybox is filled with 5 Travel Sized skin care products valued at over R800 for a mere R130. Also included was a sample of their anti-ageing lift foundation which was an extra little treat. It only comes in one shade (Rose Complexion A) which means you can share the box if it is not suited to your skin tone. This is an extra that was unexpected and much appreciated. I am not sure what the recommended selling price is for this foundation. It is not often that we can afford to spoil ourselves to products of this quality but Glossybox has given all subscribers a chance to sample these luxurious products. Order the box now to ensure that you don't miss out. Subscribe to Glossybox to ensure that you never miss out on amazing boxes such as this Sisley box. You can also follow Glossybox on Facebook and Twitter. For more information on Sisley you can visit their website and follow them on Twitter and Facebook. Sisley products are available exclusively at Edgars stores. What makes Sisley special is that it is based on plant extracts that hydrate, strengthen and regenerate the skin. 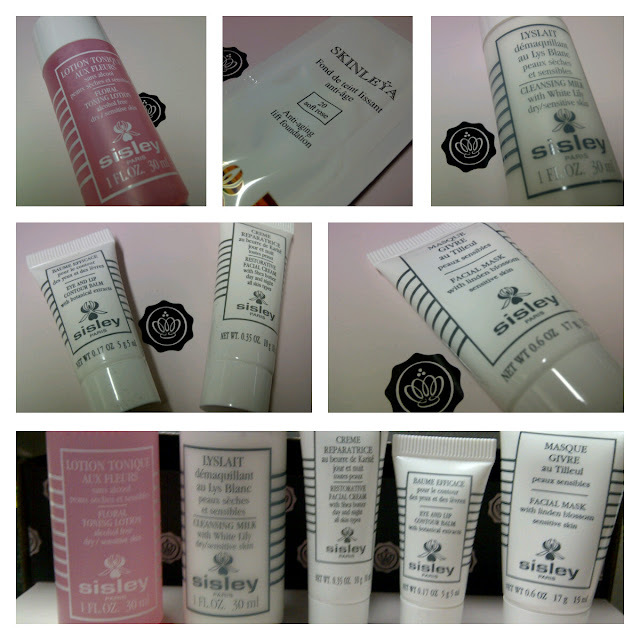 You learn more about the Sisley brand from a previous post I did.